Pick-ups have been the fastest-growing segment of the commercial vehicle market for some time, as a wider range of models with more modern, car-like features have broadened their appeal. Most of them are available as double cabs too, which means they can serve dual roles as a rough and ready workhorse and practical family transport. But what do they cost to insure? We’ve listed the top 10 pick-ups with the lowest insurance groups according to UK safety body Thatcham’s official listings. 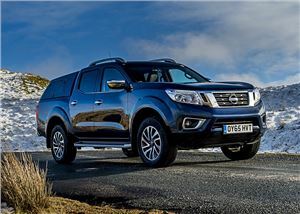 The cheapest pick-up to insure is the Nissan Navara, which starts at group 35E in either basic Visia or Acenta specification. You’re not limited on body style if you want the lowest group either, as the same applies to both the double cab or the extended pick-up body style, while the Navara is one of the best looking and most refined trucks on the market – not to mention the most economical. The Ranger nameplate can trace its roots back to the mid-1960s, when it represented a jazzed-up version of Ford’s F-Series pick-up, but it’s been a model in its own right since 1983. Despite the all-American gas-guzzling image, it’s the second cheapest pick-up to insure in the UK, if you go for the 130PS 2.2 TDCi version in regular cab guise and XL trim. 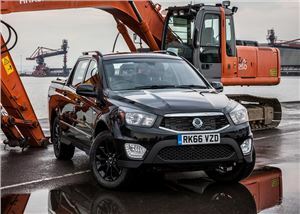 Ssangyong is building its reputation on great value, well-equipped vehicles and the Musso pick-up is no exception. The best bit, in insurance terms, is that every variant falls into the same 37A group, regardless of whether you go for a manual, an automatic or SE or EX trim levels. 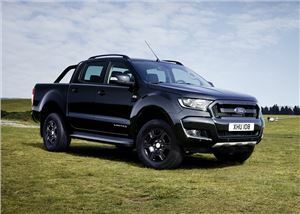 It may be in the same numerical group as the second-placed Ford Ranger, but the Musso’s ‘A’ rating means it meets safety body Thatcham’s requirements for security for this type of vehicle, whereas the Ranger’s ‘E’ rating exceeds them, which gives it the edge. 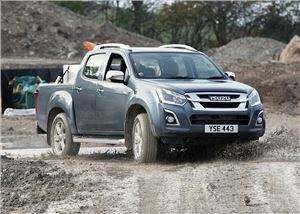 A 2017 refresh saw the Isuzu D-Max get a new 1.9-litre turbodiesel engine, which improved its fuel economy and kept insurance costs within the bottom half of the pick-up market. Like the Ssangyong Musso, the D-Max gives buyers a wide choice of models in the lowest insurance bracket. Single and double cabs, rear or four-wheel drive versions, manuals or automatics and a variety of trim levels all fall into group 39A. 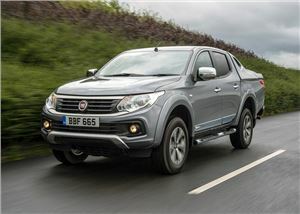 Fiat is a relative newcomer to the pick-up market, having made its debut with the Fullback in 2016. It hasn’t got off to a bad start, as it’s great off road (every model comes with four-wheel drive) and can hack heavy-duty work. It may be based on the Mitsubishi L200, but the Fullback with the 150PS engine starts one insurance group lower at 40A compared to the Mitsubishi’s 41E and also comes as a double cab, whereas the cheapest L200 to insure is a single cab. 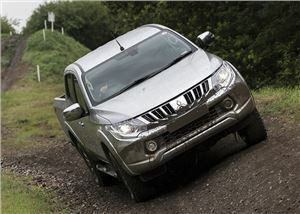 The Volkswagen Amarok is tied with the Mitsubishi L200 with a starting insurance group of 41E. However, you get a much more powerful 204PS 3.0-litre V6 diesel engine with the VW, as well as an automatic transmission, and the same group applies to both Trendline and Highline specifications. 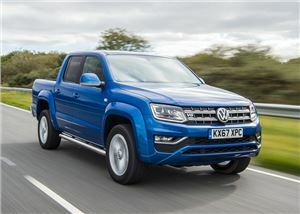 Volkswagen launched an entry-level 163PS Amarok with a manual gearbox in early 2018, which does not not have an official insurance group yet, though it is expected to have lower premiums. Mitsubishi’s L200 is a mainstay of the pick-up sector and has been toughing it out on building sites for much longer than its swathe of modern rivals. It was updated in 2015 and remains popular with businesses that want a truck known for its reliability that can take a bit of rough and tumble. The cheapest version to insure is the 4Life single cab model with a 150PS engine and a manual transmission, which is in group 41E. Known for its near invincibility, the Toyota Hilux is as tough a pick-up as they come. It has a huge load bay, a 3.5-tonne towing capacity and it’s great off road. The cheapest version to insure is the double cab in Invincible trim with the 2.4-litre 150PS D-4D engine and either a manual or an automatic gearbox. 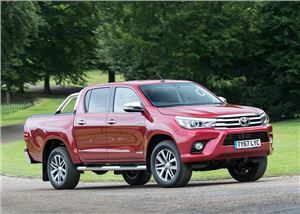 However, despite its reliability, the ‘D’ rating means safety body Thatcham has increased the numerical insurance group, because the Hilux’s security system is below par. 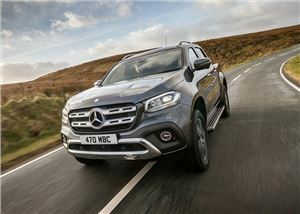 The Mercedes-Benz X-Class is both the newest pick-on of our list and the one with the highest starting insurance group based on the current, newer rating system. That isn’t surprising, as it’s a premium brand, but you get what you pay for with superb refinement, a comfortable ride and car-like engines. Insurance groups start at 42E for the X220d 4Matic in Pure or Progressive specification and with a manual transmission. 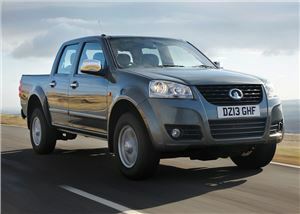 At first glance, the Great Wall Steed may appear to have the lowest insurance group of any pick-up by a very long way. However, the rating is based on the old one to 20 system, which was replaced by the current 21 to 50 formula in 2016, but the Steed has yet to be issued with an updated group. Either way, it’s a very cheap pick-up, if a way behind the competition in most other areas.